Amesbury, Andover, Basingstoke, Marlborough, Swindon, Newbury, Wantage, Didcot, Reading, Whitchurch, Winchester, Southampton, Eastleigh, Alton, Farnborough, Camberley, Bracknell, Maidenhead, Windsor, Woking, Guildford, Haslemere, Bornor Regis, Chichester, Havant, Portsmouth, Fareham, Warminster, Trowbridge, etc. Ewen can perform in several forms of dress including military evening dress which is suitable for almost every occasion, and civilian attire with no military connection. 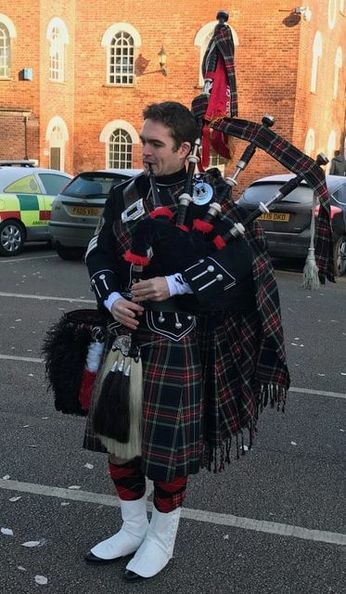 Ewen Stuart is a bagpiper for hire in Andover, Hampshire. 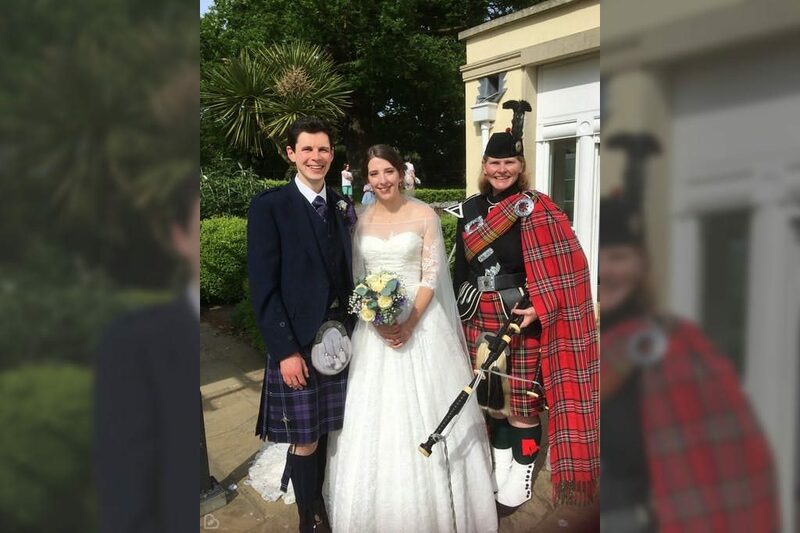 He was born in the Highlands of Scotland and was originally taught by the World Champion piper, Iain MacFadyen. He started learning the bagpipes at the age of eight on the Isle of Skye. 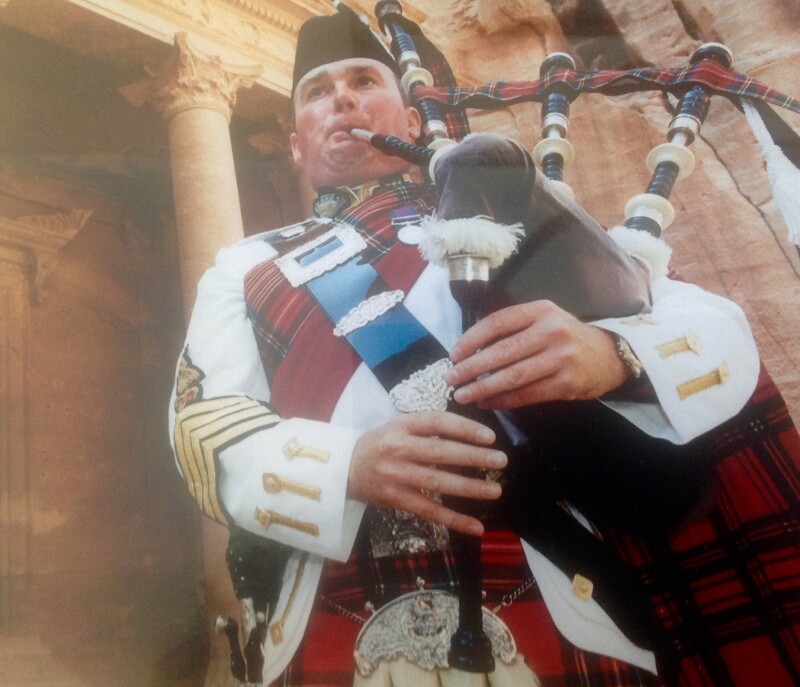 Ewen began winning solo piping championships from an early age and has been part of numerous winning pipe bands. These include the Army cadets, Turriff and District, Scottish Gas and Lothian & Borders Police, and the Queens's Own Highlanders. Ewen has spent forty years piping professionally in the Army where he served in the Queen's Own Highlanders. He was a piping instructor at the Army school of piping in the early nineties, and Pipe Major of the King's Own Scottish Borderers. He has played at military Tattoos in Edinburgh, Australia, New Zealand and Sweden. The highlight of which was being selected as Lone Piper at many of these events. Ewen has played all over the world including Russia, Australia, Singapore, the Middle East, USA and Canada. He has played for dignitaries and royalty of several countries, including HM the Queen in many locations. Ewen has competed in the pipe band world at the top levels and has run successful bands in his own right. 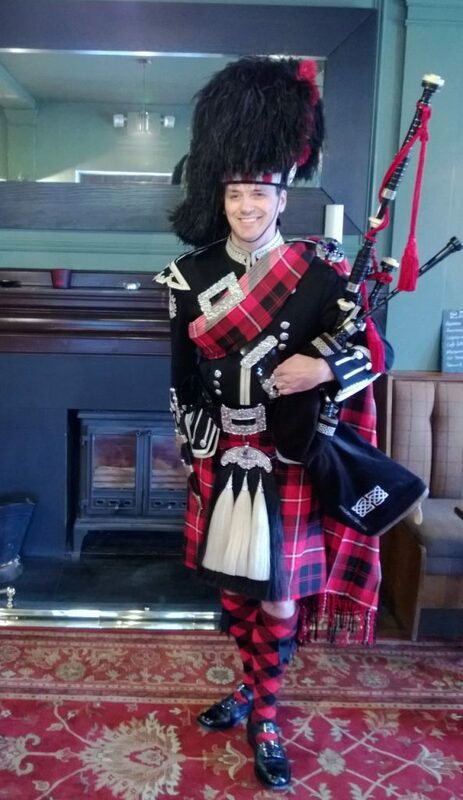 Ewen is still serving in the military and can bring a certain degree of panache to any event.